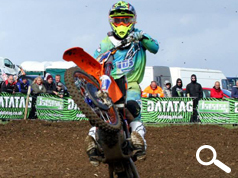 This year Datatag have joined forces with the AMCA to support the 2014 MX1 and MX2 Championships which will be known as AMCA MX1 and MX2 Championships...powered by Datatag. The AMCA Championships, established in 1954 and now in their 60th year, has a proud history as a breeding ground for some of the country’s best motocross talent and in recent years has grown in stature due to the number of riders that have come through the ranks who have matured along with a steady of influx of top riders from other organising bodies. The premier amateur Championships in the UK is wide open as this year not only has reigning 2013 MX1 Champion Lee Dunham retired but the depth of talent in both classes is arguably the strongest it's ever been and should make for close, exciting racing. Clinton Barrs heads the field in MX1, closely followed by Bradley O’Leary and Luke Mellows after a thrilling first round at Nympsfield while in MX2 Carl Benjamin held off Paul Neale and Ben Saunders to hold a slim lead. 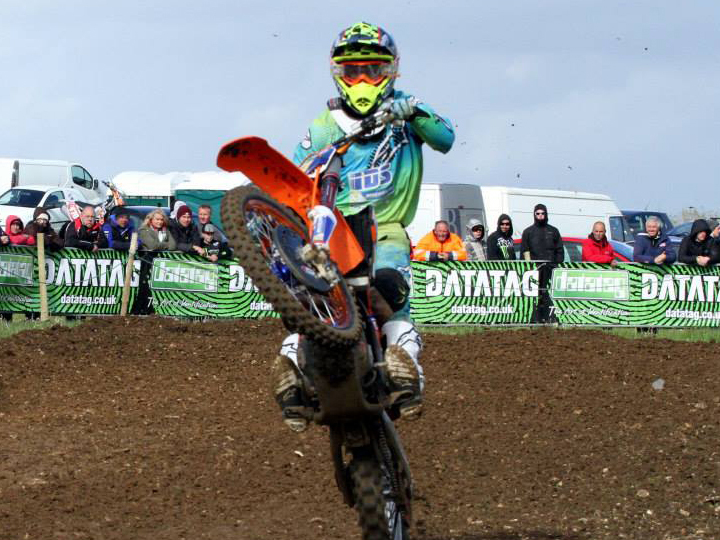 Datatag have had a long history in motocross protecting as they do many thousands of machines which would otherwise have little protection from theft. Datatag, through the MASTER Security Scheme protect all KTM, Yamaha and Suzuki off-road models as standard. Kevin Howells, Datatag Managing Director said "We are very proud to support the AMCA in this way – theft is a constant cloud over motocross and in this way we not only support grass roots racing but also bringing to the attention of riders and spectators alike the ways in which they can protect themselves from theft." Suzanne Potts, General Manager of the AMCA said "AMCA are extremely pleased to work with Datatag to take our MX1 and MX2 Championships to the next level, this is the first time we have agreed to work with a partner on the Championships as it was really important to us to find the right one - Datatag's reputation for being at the forefront of security technology within the motorcycle industry makes them a perfect fit for our flagship series"